Have you ordered an HP Folio? 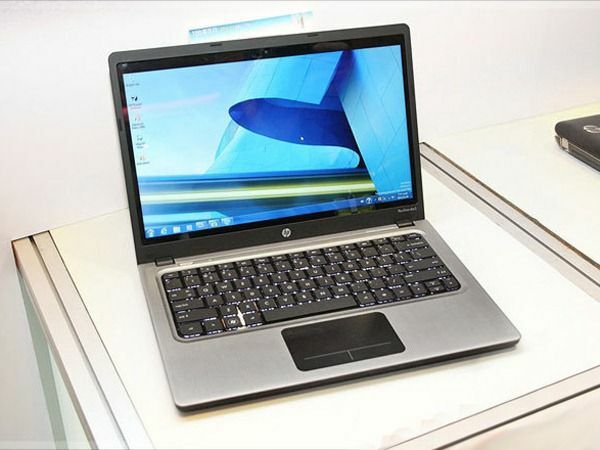 The HP Folio weighs 1.5KG (More than the non-Ultrabook Core i5-based Samsung NP350) and is, in my opinion, anything but stylish. As far as ports go you’ve got everything you need except the VGA port, there’s a keyboard backlight and an Intel Wifi module with Wi-Di support. What a shame there isn’t a hi-res matt display, something that HP is usually good at offering. I’ve updated the specifications page here and there are already links to hands-on and even a review from PCWorld which menations the keyboard. Take a look. Have you ordered a Folio? Was there a showstopper for you? Let me guess, the 1366×768 resolution? We have a request out for European availability information. Great specs, but its chunkiness is getting close to traditional laptop specs. The Folio is 2mm thicker than the Toshiba Z830 and weighs 8/10 of a pound more. I already have a traditional “ultralight”: my Vaio Z11, which weighs about as much as the Folio (3.3 pounds)… and let me tell you, the difference in weight betwen the two units is NOT insubstantial. In the 3-4 pound range, there are plenty of options, some at lower cost than the Folio.